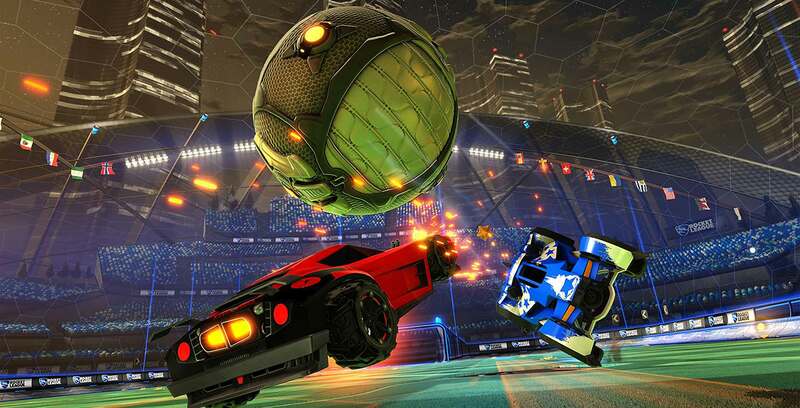 Sony has announced that it is finally permitting cross-platform play between Rocket League on PlayStation 4, Xbox One, Nintendo Switch and Steam PC. Now, players on all of these platforms can randomly matchmake with or against each other in Casual, Competitive and Extra online modes. In a blog post, Rocket League developer Psyonix confirmed that cross-platform parties will come in the game’s first update set to roll out sometime later this year. With this feature, players will be able to join their friends rather than be matched with random people online. More information on the update is “coming soon,” according to Psyonix. Rocket League is the second game to support cross-play on the PlayStation 4 following Epic Games’ Fortnite. For many months, Sony refused to offer cross-play in any popular third-party games, despite rival console makers Microsoft and Nintendo allowing the feature on their respective Xbox One and Switch systems. Psyonix, in particular, called for Rocket League cross-play for quite some time and even said the feature was fully ready to go in October last year.